It is said: Up to the age of forty, he had not yet studied a thing. One time, while standing by the mouth of a well in Lydda, he inquired, "Who hollowed out this stone?" and was told, "Akiva, haven't you read that 'water wears away stone' (Job 14:19)? - it was water falling upon it constantly, day after day." At that, Rabbi Akiva asked himself: Is my mind harder than this stone? I will go and study at least one section of Torah. He went directly to a schoolhouse, and he and his son began reading from a child's tablet. Rabbi Akiva took hold of one end of the tablet, and his son of the other end. The teacher wrote down alef and get for him, and he learned them; alef to tav, and he learned them; the book of Leviticus, and he learned it. He went on studying until he learned the whole Torah. Why was there a need for Akiva to study Alef Bet, when his knowledge of Tanach must have been prodigious, He knew the verse from Job 14:19, so he must have known how to read, and quite a bit of Tanach as well. The author, whose name I unfortunately no longer recall, suggests that what R. Akiva learned was not the just the shapes and forms of the letters but the entire mystical tradition relating to the alphabet. If so, however, why was his young son studying it with him? A case occurred, a Nochri came in front of Shamai; he asked, how many Toros do you have. 1.Shamai: We have two, written and oral. 2.The Nochri: I believe you about the written Torah, not about the oral Torah - convert me on condition that you will teach written Torah to me! 3.Shamai angrily drove him away. 4.The Nochri came in front of Hillel; Hillel converted him. The first day, Hillel taught him Aleph, Beis, Gimel, Dalet; the next day, Hillel reversed the order of the letters. 5.The Nochri: Yesterday you taught differently! 6.Hillel: You rely on me to know the letters - you can also rely on me regarding oral Torah! 2. Some day , he knew that he will no longer be Akiva, but Rabbo Akiva, the great Sage from whom many will come to learn. He will receive many questions. One day a questioner will ask him how to teach Alef Beis, and he would not know. This is why he started again from the beginning. One sometimes encounters rabbis whose learning did not start from Alef Beis. They gained a lot of knowledge but missed absorbing the authentic attitude and feeling of Yiddishkeit. They can handle the data but not the Spirit of the Law. They can answer technical questions but not teach the inner dimension. They don't understand why something that is not clearly forbidden might still be inadvisable. R. Akiva did not want to become such a rabbi, and, even though he could read, he elected to start his education again from the beginning. From this, I know only concerning two individuals; how do I know that even a single individual who sits and occupies himself with the Torah, G-d designates reward for him? From the verse, "He sits alone in meditative stillness; indeed, he receives [reward] for it" (Lamentations 3:28). Now we shift our focus to an individual. In the previous part of the mishna the focus had been on how Divine Presence rests within a group - ten, even three, even two. Divine presence is not possible outside of a group. But even one person can still avail himself of the Divine Experience - but only through the Torah. It is not Shechina but there is a reward. Learning alone is far from ideal. He who sits alone does not connect with Hashem, for by definition, loneliness is loneliness. As in his life, so also in his death, R, Chanania ben Teradyon strove mightily that Torah should be studied in public. He lived what he preached here in Avos. Hadrian imposed a death penalty of those who taught Torah. In response, R. Chananya ben Teradyon convened public assemblies and taught Torah. For this he and his wife were condemned to death, and their daughter to degradation. His death was terrible. Wrapped in the scroll, he was placed on a pyre of green brush; fire was set to it, and wet wool was placed on his chest to prolong the agonies of death. "Woe is me," cried his daughter, "that I should see thee under such terrible circumstances!" Haninah serenely replied, "I should indeed despair were I alone burned; but since the scroll of the Torah is burning with me, the Power that will avenge the offense against the law will also avenge the offense against me." His heartbroken disciples then asked: "Master, what seest thou?" He answered: "I see the parchment burning while the letters of the Law soar upward." "Open then thy mouth, that the fire may enter and the sooner put an end to your sufferings," advised his pupils. But Haninah replied, "It is best that He who hath given the soul should also take it away: no man may hasten his death." Thereupon the executioner removed the wool and fanned the flame, thus accelerating the end, and then himself plunged into the flames (Avodah Zarah 17b, see also Sifre, Deut. 307). The simple meaning of the verse in Lamnetation that is quoted here in Avos is that one who suffers must accept the decree that G-d places on him in silence. That is not how R. Chanaya ben Teradyon understood the verse. Instead he saw it as prescribing a reward even for one who studies Torah alone. But in truth, Torah must be studied in public, not alone. This is so important that it must be done even in the time of persecution. When he was captured and put to death, R. Chananya did not just accept his suffering in silence; her justified Hashem's design. I apologize for not posting as frequently as in the past - having started to teach Daf Yomi, and other urgent matters knocked me off schedule and I have to figure out how to get back on track. In the meantime, here is a thought on Brochos 10a. A certain Min said to R. Abbahu: It is written: A Psalm of David when he fled from Absalom his son. And it is also written, A mihtam of David when he fled from Saul in the cave. Which event happened first? Did not the event of Saul happen first? Then let him write it first? He replied to him: For you who do not derive interpretations from juxtaposition, there is a difficulty, but for us who do derive interpretations from juxtaposition there is no difficulty. For R. Johanan said: How do we know from the Torah that juxtaposition counts? Because it says, They are joined for ever and ever, they are done in truth and uprightness. Why is the chapter of Absalom juxtaposed to the chapter of Gog and Magog? So that if one should say to you, is it possible that a slave should rebel against his master, you can reply to him: Is it possible that a son should rebel against his father? Yet this happened; and so this too [will happen]. How did R. Abbahu know that these heretics do not interpret juxtpositions and why would they not do so? What is the significance of Slave, Son and Master? Were there not many examples in the Torah of rebels aganst G-d, such as Pharaoh etc(Maharsho)? ﻿﻿﻿﻿﻿Answer: R. Abbahu knew that the heretics do not learn from juxtposition because to them all of the Torah is an allegory prefiguring Jesus. The method of interpretation by allegory is familiar to us from the writings of Philo and it was taken from him into the Christian method of interpretation. In their hands, allegory served to divest the Jewish Bible of its meaning and to ascribe to it whatever meaning served best their theological ends. In such an approach juxstpositions mean nothing. While it is true that an allegorical interpretation does not necessarily preclude a literal interpretation and; interpreters such as Origen of Alexandria and Augustine of Hippo maintained that the Bible is true on multiple levels at the same time, we must remember that the method of allegory was generated by Greek interpreters in order to bring their myths into concordance with philosophy and necessarily deny their literal meaning. Jerome, the one of the "Hebrew Truth", was not a fan of allegory either. On the other hand, he would relate to Psalms about Saul better both because it echoes some of his beliefs and becasue it ends with the praise of the nations and not Israel..
For the director of music. To the tune of “Do Not Destroy.” Of David. A miktam. [b] When he had fled from Saul into the cave. Therefore, Min asks: "Why is not this psalm at the beginning of the book of Psalms"
R. Abbahu answered that the Min's preferred Pslams is connected to the psalm 2 that speaks of the rebellion of Gog and Magog and Israel's eventual justification over the rebellious nations of the World. Min counters that it is impossible the his fellow believers are wrong. His argument is found in Nitsachon Vetus. It is that Chrisitans are more religious than the Jews and sacrifice more. Christian monks abandon pleasures of the world and of society, do not marry and devot themselves wholly to religion. Jews do not do so, so how could Christians be wrong? R. Abbahu's response is about Jesus himself. Pslam 3 tels us that even a son can betray his father, for Absalom betrayed David. The founder of Cristianity was a Son who rebelled against his Father and he is prefigured in the person of Absalom. Yes, sometimes Jesus is prefigured in the Bible but not in the complimentary way that Christians believe him to be. It is similar to the argument of Nitsachon Vetus that Jesus is referred to in the verse :When your brother, the son of your mother, incites you saying, let us go and worship other gods (Devarim 13:6)". Just as it is possible to be well meaning and even sacrifice oneself but still be mistaken, so it is possible for the nations to attack Israel in the name of their religions, but still be wrong. Daf Yomi has become a very popular limmud in our world. The reasons for this are many. Daf Yomi demands and connotes discipline. It is something of which a learner can be proud in his own mind and in front of his family and community. There is an mistique to learning and completing Shas; it defines a person. At the same time, it is widely acknowledged that it is difficult to gain much from Daf Yomi as if is usually learned. How many times does one see the Magid Shiur droning in front of a table of seriously distracted and tired students, who barely manage to stay engaged. This one just looked in Rashi hoping to understand what is being said and he lost his place. He frantically attempts to locate where he was as the lines run away from him. Another one had a hard day at work and his mind keeps drifting away. Yet another learner has already given up and is learning on his own without following the maggid shiur. Still another one is looking at the clock wondering when the torture, at least for this unsuccessful evening, will end. Mark Twain once said: " It is easy to stop smoking; I did it many times". Well, I started Daf Yomi many times! The unfortunate truth is that most of those who begin Daf Yomi with high expectations, soon drop out. R. Meir Shapiro used to explain that the famous saying, "Bo Shabbos Bo Menucha", refers to those who start Daf Yomi with Brochos and are gone by Shabbos. Why does this happen? Because it is very difficult to succeed with Daf Yomi as it is usually learned these days. Why? Because the learning is unfocused and has no goals. I think we can all agree that the amount of material in every daf is too great to retain for an investment of one hour a day. When people can't remember, where each page becomes like another page, when a page from three weeks ago looks as if one had never seen it, frustration sets in. If this too much to expect people to keep on giving time and effort, to tear away time from family and other interests, daily, nightly, without experiencing success. 1. Focus on the structure of the sugya. What is the question, what are the three or four Aromaic opinions, what is the conclusion? Understand these, focus on them, and review them. Whatever you retain from the rest is icing on the cake. 2. Focus on the background material and on what the sugya brings to expand it. Pay special attention to Rashis that explain the background and supplement it with a brief review of other related sygyas. Know where these sugyas are, which means- pay attention to Mesores Hashas. Aim to understand definitions and terms so well that you can explain them to others and learn where parallel sugyos and concepts are located in Shas. The focus is broadening your understanding and gaining clarity and bekiyos in Torah in general. 3.Focus on the major views of the Rishonim - what Rashi, Tosafos and Rambam sugya and how the Poskim decide. Your goal is to have a broad and general overview of the halachic discourse without getting bogged down in the specifics of it. This makes a virtue out of the difficulty of encompassing the subject and enables you to carry something that is useful out of it. There are, of course, many other possible ways to focus, to put aside the extraneous, and to ensure that you end up with a finite but the real body of knowledge. In the setting of a lecture, this can only happen if the teacher is also focused on the specific approach to so get an specific goals to accomplish. If the teacehr is unfocused, the student has no hope. The way we hope to learn Daf Yomi is to project the ArtScroll application (see the top of the page) and utilize its ability to highlight and separate to improve retention. However you study, a focused approache to the sygya and a set of well defined goals around which the teaching is organized is the key and will remain central to success. ☛Use the new ArtScroll digital app that takes Limud haTorah to the next level. Now with the the daily cycle of Rambam completing the Book of Ahavah, I thought that I share some observations on studying Rambam in the context of a daily schedule. I have been pleasantly surprised since starting this seder several months ago. I have always thought that studying Rambam is not for a talmid chacham, and what, after all, would a scholar gain from reading what is mostly dry halachos. Isn't it better to study gemara? Well,it is not dry at all and, yes, it is surely worth it! I find that learning Rambam separates and organizes subdomains of halachic knowledge in my mind. What I mean by that is that the study of Gemara can suffer from the inability of seeing the forest for the trees. In other words, the focus becomes on specific laws and their are subtleties but one been loses the perspective of how they combine into a unified structure. Studying Rambam allows one to see the overall structure. In general, it is an excellent review that enables one to fill in blanks in knowledge and understanding that remain after gemara study. For example, one can study Gittin a number of times but not realize that there are 10 things that pasul a get. Rambam lays it out for you9Gerushim Ch. 1). Similarly he will enumerate 24 sins that preclude repentance (Teshuva Ch.4) and tell you 4 things that prevent prayer(Tefila Ch.4) and eight things that do not prevent it, but should ad initio be present(Ch.5). He not only enumerates, he tells you in which circumstances a halacha applies and when it does not; for example, what you say on a weekday and what you say on Yom tov, Chol Hamoed, Rosh Chodesh etc. There is a great deal of systematization and rearrangement that enables one with some knowledge of the relevant sugyos to gain an overall appreciation of the order and structure that underlies them. It can serve as a quick review of where which sugyos can be found. For someone who is generally familiar with Shas, breifly glancing at the Kesef Mishan and noting the source, can be very helpful and gain a lot with a minimum expenditure of effort. Occasionally, about once per chapter, one who reads daily Rambam comes across a halacha that he never knew. It may have been overlooked during gemara study, come from a diyuk that one never made himself, or derive from a tosefta or an yerushalmi that one had never seen. This is thrilling for a talmid chacham. I aso find it to be a good review of the many disputes between Rambam and Raavad that were semi-forgotten, or at least, receded into vague recollection since my yeshiva days. Refering to Kesef Mishna sometimes brings back a reacquintance with other Rishonim about whose views one may have heard a shiur years and decades before but then forgot. Finally, careful reading of the language itself beings about an occasional flash of insight. Rambam is very conceptual. Briskers according to their types always read Rambam as a comentator on the sugya and investing a few minutes of thought here and there as one reads him can produce worthwile insight. In short, it is a delightful seder to pursue. 93. The Khazar said: That good and fine. But what would you say when we say in the blessing that "Blessed be Though, Hashem, Ruler of the Universe who sanctified us with his commandments and commanded" - to read the Megilah, to complete the Hallel, to light Chanukah candles, and God did not command these things. Do not answer me with what the Sages said, "And where did He command us? In the verse 'Do not turn away from the matter that they command you' (Brachot 19b )", for this applies specifically to explanations of Biblical imperatives, such as that the "fruit of a beautiful tree" is a citron and not some other fruit. It does not mean that Sages should innovate a law and call it a commandment and compel us to say, "He commanded us" based on the prohibition of "Do not turn away". 94. The scholar said: Know my Master, the King that Sages did not enact to say "He commanded" on their own but by God's word and His command. 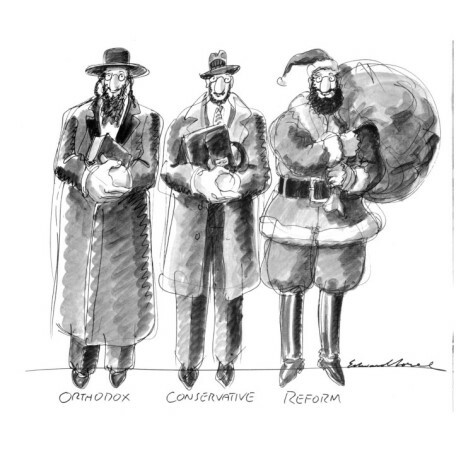 Not only here but in every matter that they enacted or decreed, their concern was to model it after the structure of Torah commandments; this is what they said in many places, "Whatever the Rabbis enacted they enacted in the manner of a Biblical law (Pesachim 30b)". 95. The Khazar said: Bring a proof to these words and you'll be done. 96. The scholar said: A man praises and thanks God for the good that He had done with him in one of two ways - by bringing a sacrifice or through speech. Noah thanked God through an offering when he had come out of the Ark as it says, "And Noah built an altar for God and he took of every clean animal and every clean bird and brought up offerings upon the altar (Genesis 8, 20)". When God told Abraham, "to your offspring will I give this land" - "he built an altar there to God who appeared to him (Genesis 12, 7)". Regarding Jacob it writes, "And Jacob arrived whole… and he set up there an altar (Genesis 33, 18)". The Blessed Lord told Jacob explicitly: "Come go up to Bethel and dwell there and erect there an altar to God who appeared to you as you escaped from your brother Esau (Genesis 35,1)". Jacob said to his sons, "And let us arise and go up to Bethel and I will make there an altar for God who answered to me on the day of my trouble and was with me on the way that I walked (Genesis 35,3)". Here you have it explicitly that sacrifices are to give thanks and praise to the Blessed Lord. We also find thanksgiving in words, as Malchizedek said, "Blessed is the High God who handed over your enemies into you hand (Genesis 14, 20)." When Isaac dug the third well he called it Rehoboth, "for now Lord has gave us space (rachav) and we will grow in the land (Genesis 26, 22)". Lea, when she gave birth to Judah said, "This time I will praise God (Genesis 29, 35). During the Exodus - "Then Moses and the children of Israel sang this song to the Lord (Exodus 15, 1)". Jethro said: "Blessed is the Lord who saved you from the hand of Egyptians and from the hand of Pharaoh (Exodus 18, 9)." David sated the Holy One Blessed Be He with songs and praises as is evident from the book of Psalms. David instructed is in Psalm 107 that four types of people must give praise: those who descend into the sea, those who travel in the deserts, a sick person who was healed and one who was imprisoned and then went free (Brachot 54b). There is really no difference if a man was in jail and went free or if he was saved from his enemies who sought to kill him. It matters not whether it is an individual or a community. In all cases, the Holy One Blessed Be He wants and commands that praise and thanks be given to Him for the good that He does as it says, " And you shall relate to your son on that day - because of this God has done for me when I went of out of Egypt ( Exodus 13, 8)". It also says, "And you shall eat and be satisfied and bless God, your Lord for the good land that He had given you (Deuteronomy 8,10)." And it writes, "In tabernacles you shall sit seven days for in tabernacles I made children of Israel dwell (Leviticus 23, 43)." All these events, verses and commandments clearly demonstrate that the Blessed Lord desired and decreed that we should praise His Great Name for all the miracles, wonders, goodness, and kindnesses that He had done to us. Therefore, we have to extol and praise him on holy days and feasts. It would really behoove us to compose and use original wording; however, since we possess songs and praises of King David that he spoke out through Divine Inspiration, is it not better that we praise and thank the Lord with songs that have already proven to be sweet to Him, by the virtue of the songs themselves as well as by the merit of their author? It is following this sentiment that we read the Hallel on God's festivals and say, "which Thou commanded", for, although he did not literally command us to pronounce specifically these words, he did command us to praise and glorify His Holy and Great Name in general. The sages and leaders of Israel chose the songs of David for reasons that we already explained. Since it is a commandment of the Blessed Lord that we should thank and praise his name, it is fine to say in the blessing of Hallel "that You commanded us", even if we classify Hallel as a rabbinic commandment. We can likewise say "You commanded us" in regard to reading the Scroll of Esther and not worry, for since reading this story it is a form of thanksgiving, a commemoration of the miracle that He performed for us to save us form Haman. Though it may be that he did not command us to read specifically this scroll, He did command the general idea, as I proved from the passage of the four who must praise. We can also say "commanded" in the case of Chanuka candle since it is remembrance of the jug of pure oil that contained only enough oil to burn for one day but it burned for eight. Similarly, Sabbath and festival lights - for it writes of Sabbath "and you shall call Sabbath a pleasure (Isaiah 58, 13) " and it is no pleasure to sit in darkness of Sabbath, like poor souls who had never seen light. Of festivals it says, "you shall rejoice in your festival (Deuteronomy 16, 11)" - and there is no joy without light. Turns out, that although we weren't specifically commanded to light Sabbath and festival candles, since we were commanded to have pleasure on Sabbath and joy on festivals, we of ourselves became commanded to ensure that we have whatever leads to pleasure and joy, and there is no pleasure or joy without light. The four fasts do not present a problem to begin with, for "Aneinu" is naught but a request and a prayer and we do not use "commanded" in it. Besides, the Holy One Blessed Be He agreed to the enactment of these fasts as it says, "So speaks the Lord of Hosts. The fast of the fourth month and the fast of the fifth month and the fast of the seventh month and the fast of the tenth month shall be for the House of Judah a joy and elation and holidays (Zechariah 8, 19)". The seven days of mourning have no words "commanded"; so also the marriage canopy has only a blessing "who commanded us regarding forbidden relationships". The same is true of the marriage contract. Other blessings are blessings of praise and thanksgiving. 98. The scholar said: Let's allow for a moment that they are right and that the erub was enacted a long time after Solomon. I now set out an argument that we can still say "commanded" and be right. Behold it says, "A person who makes a vow or swears and oath to prohibit a matter to himself, he shall do according to all that came out of his mouth (Numbers 30, 3). Consider well that a Jewish man can vow to give a certain sum to charity or to fast on a particular day, or something like that. Such a man can say, "he commanded me" about fulfilling his vow. If someone asks you how he can do that and based on what, you can tell him that it is based on the verse "he shall not profane his word (ibid)". Behold, all Jews, beginning from the time of King Solomon or whatever later High Court after him that has enacted erub, have accepted on themselves not to go more than 2000 cubits out of city limits in all directions. If a man, for some reason, needs to go four thousand cubits in one direction, he must travel up to two thousand cubits out before Sabbath and leave food there that suffices for two meals (and this is an erub). This is as if he says: "I set up my erub at a distance of two thousand cubits and that makes it as if my dwelling place is at that spot and from that point forward I am permitted to travel a distance of two thousand cubits in all directions. This is called erub, for in a manner of speaking it joins two thousand cubits that I had toward the east with the two thousand cubits that I had toward the west. Since we accepted on ourselves to honor the Sabbath and not to go beyond two thousand cubits in one direction unless through using an erub, it turns out to be an obligation in a manner of a vow, just as if it was an actual commandment. When we set up an erub we fulfill the commandment of "do not profane your word"; therefore it is fine to say "who has commanded us". If you counter, why doesn’t every individual make a blessing with phrasing "he commanded us" whenever he fulfills any vow, it is possible to respond that we have a principle that a blessing is not formulated for an activity which is completely optional - for it is possible that a man will never make a vow. (Erub, however, is an activity that is common and most people engage in it). 99. The Khazar said: Your words are pleasant and logically agreeable. It seems to me that the reason why we say "he commanded", whether for erub of distances, whether for erub of domains, is because the whole goal of the Sages was solely to increase the honor of the Sabbath and to preserve individuals from violating Sabbath, lest they may die by violating it. What would you say, however, regarding the erub that allows cooking on festival for Sabbath, of which there is not a hint in the Torah? 100. The scholar said: No my Master for some say that it is of Biblical origin from the verse (regarding the manna), " on the sixth day you shall prepare of what you have brought (Exodus 16,5)". However, even if you say that is Rabbinic, it is possible to say "He commanded". The reason is that there is a verse that says, "But that alone which will be eaten by somebody, that alone will be prepared by you (Exodus 12, 16)". Clearly, this is a permission to cook for what is needed on the festival itself but not for any need outside of a festival. No one disagrees that it is prohibited to cook on a holiday for the day after.. This is because a regular weekday can be preparation for a Sabbath and a regular weekday can be a preparation for a festival; also one can prepares for the Sabbath on a festival. However the Sages prohibited to do so without setting up an erub, for perhaps people would cook dishes on a festival to be eaten on a subsequent weekday. Now with the enactment of erub, people will realize that there is a priori argument and say, "Just like on festival we cannot cook for the Sabbath (without an erub), so much more so from a festival for a weekday. The erub is to indicate, "I have already started to cook on a regular weekday for the Sabbath with the foods that constitute this erub". After that, even if he cooks on a festival that is Sabbath Eve for the Sabbath, it is as if he merely completes the dish that he already started from the eve of the festival. This was enacted tp preserve the honor of the holy festivals, so that people do not take its sanctity lightly. All of Israel accepted the prohibition not to cook without an erub as a vow. It turns out that one who transgresses this enactment has also transgressed "do not profane your word". With this correlation to vows, it makes sense to say, "He commanded us". 101. The Khazar said: If so we do not require the source of "You shall not turn away from what they command you…(Deuteronomy 17, 11)". 102. The scholar said: The verse "Do not turn away" is general; I, however, explained the specifics because I recognize that the deniers especially criticize Rabbinic commandments when there is an associated blessing containing" Which He commanded". The justification for saying 'commanded' on the second day of festivals that are kept outside of the Land of Israel are taken up in Fifth Dialogue. Even is we accept the assignment of erub enactments to Solomon himself, how can we say "commanded" when this enactments were made by a human being and not commanded by God? The word erub can be understood as mixing or joining two things together. Once the Sages enact a ritual and it becomes widely accepted, it attains the status of a personal vow. Since to fulfill a vow is fulfillment of commandment of not profaning one's word, it is legally perfectly right to refer to this ritual as having been commanded. There is generally a prohibition to cook on Festival for the purposes of the following day, even if that day is a Sabbath. The erub tavshilin allows one to begin preparing a meal by preparation on the eve of the festival of token articles of food as if for the festival itself. The remainder of the food preparation can then be carried out even if it is not necessarily consumed on that festival day itself. See beginning of tractate Beitsa. It is permitted to utilize a day as preparation for a day of greater sanctity - weekday of a festival or Sabbath and festival for the Holy Sabbath. If every enactment of the Sages can be subsumed under some God commanded rubric, why does one need a specific prohibition to not turn away from what they command? Pshat and Drash: Working together. Pshat and Drasha are those mysterious things that the more we speak of them, the less we understand. It is not that it is hard to "get" each one separately; that is pretty easy. What's baffling is to conceptualize how Chazal worked both of them side by side into their halachic methodology. It would seem that one ot the other must predominate. Either you believe that Halacha is encoded into the Torah for purposes of derivation, or at least of demonstration, in which case the Drash reigns and the Pashat, albeit also a part of Torah, is more of a curiosity for those who like Tanach. Or, Pshat is the "real"meaning of the Torah, and Drash is but an expedient by which to connect Oral Tradition and Written Law. This is why it is important to explore the interface of Pshat and Drash, by which I mean, how the too work together, so that neither overshadows the other . How does halacha arises out of the two working together? Netsiv in his Chumash commentary offers several instructive example. He says that Pshat modifies and directs the Drash. I will begin with one that is the least technical. Netsiv comments: "Prohibition(against spilling blood) that is expressed explicitly is more severe to transgress than one that is derived through reasoning( see Gen. 9:6). Sometimes, we find that Chazal emphasize the case in the verse over the cases learned by Drash from the same verse This is why the Court in Usha decreed that, "We do not excommunicate the head of Beis Din who behaved improperly (because of the verse, "The Prince in you people you shall not curse)". (In other words, even though we darshin this verse to refer to more than just the Prince), the simple meaning remains that we do not curse or excommunicate a Prince; the Drash does not obviate the Pshat). In this manner, the Pshat works along side the Drash. Drash explains that the halacha is not as limited as stated in a verse and broadens it to other similar cases but the Pshat insists that the plain meaning of the verse still accrues added severity for that case that is the sole Pshat in the verse. Netsiv talks about this in two other places in his commentary, Vayikra 13:45 and 19:27, and adduces as proof Tosafos in Kiddushin 24b. In Vaykra 13, the point is that even though the separation of a Metzorah, his wearing a cloak that covers his lips and calling "Tame Tame" is derived by Toras Kohanim to apply to all types of a Metzora, it is written in the section of a Tsaraas of the head. Therefore, it is particularly severe in the cases of the tsaraas of the head. Similarly, the prohibition to speak Lashon Hara applies everywhere but because it is written in the section on behavior during the war, it is particularly severe in the wartime(Kesuvos 46). Another example is the prohibition to remove the peyos of one's head (Vaykra 19:27). It applies to .both Kohen and Yisroel; but, because it is written about Kohanim, it is particularly severe for Kohanim. It seems to me that Netziv would not subscribe to the notion that Drash is simply a sophisticated Pshat (Omek Hapshat). Rather they are two separate systems that generally co-operate, although sometimes one tor the other predominate in a particular case. Sometimes, the Drash even obviates the Pshat but usually it merely expands and broadens it. At other times, like the cases that we discussed above, Pshat amends and modifies the Drash. Sometimes Pshat loses to Drah out in one verse but returns in different guise as the Drash explanation of another verse. They remain two concurrent and simultaneous systems that work together to define Halacha. This leads me to an observation that I saw in Martin Lokshin's commentary to Rashbam al Hatorah. He notes that Chazal say that "a verse does not lose its plain sense (Ein Hamikra Yotse Midei Pshuto - Shabbos 63a); yet, this essential and overriding principle is barely mentioned in their literature. This leads to disagreemtns about what this statement really means. Perhaps, the meaning is exactly this - Drash broadens the meaning of verses but their Pshat is also not lost, for the cases which are the Pshat remain more severe than the cases added to the "coverage" of the verses by Drash. Are interpersonal offenses really sins against G-d? One of the many interesting features of the teshuva process before Yom Kippur is reconciling with those who we have offended. But what if we offended a friend or a relative and our relationship is such that they surely had already forgiven us? Do we still need to go through the uncomfortable process of confessing to them and asking for forgiveness, or is it sufficient to rely on that fact of having been forgiven and not need to ask? At question is the very nature of the idea of asking forgiveness. Is it for the offender's sake or for the offended's benefit? Is it a technical requirement, without which forgiveness is not complete or a practical obligation because those who we think have forgiven us, perhaps have not? Or is it that asking forgiveness is a part of the teshuva process of Yom Kippur, irrespective of whether it actually obtains forgiveness; in other words, is it something we must engage in as preparation for Yom KIppur (a halacha of Yom Kippur and not of teshuva) and not because we must go into the Yom KIppur free of interpersonal sins. Or, one may ask, is it that offending another human being is also an offense against G-d? May it be that it is not enough that the friend forgave us, we must still ask for forgiveness so that the sin to Heaven is also expiated? The early sources seem to imply that one must always ask a friend for forgiveness, even if one knows that the friend had already put an incident or injury behind him. Sefer Haminhogos writes: "A man must pacify his friend after he had forgiven him so that the friend prays to Hashem that He should (also) forgive, as our Father Abraham had done(for Avimelech), I heard that this is why the tribes fo Israel suffered a punishment - because they did not ask Yosef that he should pray on their behalf". This implies that it is not enough to rest in the security of the knowledge that one had been forgiven. Even if so, an active attempt to enroll the friend in praying on the offender's behalf is also necessary. It is quite clear that to Sefer Haminhogos every interpersonal offense is also a sin against G-d. Even if a human had forgiven, G-d may not. Similarly Birkei Yosef writes every interpersonal offense contains also a sin against Hashem. As long as the friend had not forgiven, the offense again Hashem cannot be forgiven. On the other hand, there are indications that being sure that a friend had forgiven him is enough. Many people declare nightly in their version of bedtime Shema that they had forgiven all who wronged them, and it is a part of Tefila Zakah before Yom Kippur. If forgiving someone who had not asked for it does not work, why do it? There are poskim who say lechalacha that if know that a friend had forgiven him, he need not ask(Teshuvos D'var Yehoshua 5:20; Az Nidberu 7:65, 66). I am pretty sure that I saw In the name of Yosef Ometz in S. Y. Agnon's Days of Awe that if one knows that a friend had forgiven him, he does not need to ask for forgiveness. Unfortunately, I was not able to find it now, when I went to check the references(but I do recall that it was a parenthetical quote in a chapter that dealt with an unrelated topic). There are several sources that appears to indicate otherwise. In Yoma 87a we are told that when someone wronged R. Zeira verbally, he would go and stand in front of him, to make it easy for him to ask him for forgiveness. We are also told a story about Rav. R. Huna told his Rebbe, Rav, that he was on his way to kill someone. Rav went to a butcher who had insulted him. Rav Huna knew that the butcher who had wronged Rav, would not respond in a positive way, thereby making his situation in Heaven worse. His prediction came true when the butcher, looking up and seeing Rav standing in front of him, slighted Rav and the butcher was killed right away by a bone chip. In Kochvei Ohr 5, R. Yitshak Blaser explains that R. Zeira and Rav imitated Hashem who always extends himself to his people to do teshuva. He also points out that apparently it is not enough to simply forgive someone, one also needs to persuade that person to ask for forgiveness, for if not, it would have been enough for Rav to simply verbally declare that he forgives the butcher. An interesting proof for the idea that forgiving someone in one's heart is not enough comes from Rabbeinu Bachya to Bareishis 50:17. It tells us there that Yosef's brothers came to him and asked him to forgive them for selling Yosef to Egypt. In response Yosef cried and assured them that they should not feel bad and that it came from Hashem, "to sustain many people". Strikingly, he never responds to them with words, "I forgive you". This, says R. Bachye, is why the sin of the Tribes ultimately required expiation through the death of the The Ten Martyrs. Here we also see that it is not enough to forgive in thought; one must also verbally express it. Until this year, I thought that there perhaps are two views on this question but now I think that they can be reconciled. The reconciliation comes from a distinction cited in Mishnah Berura to O"C 607:4. It says there that sins that one confessed in previous years should be again confessed this year. In sief koton 13, a Pri Megadim is quoted. He makes a distinction between sins such as stealing from another person, which one has to confess every year, because it is also a sin against G-d and "purely" interpersonal offenses. For sins such as verbally insulting another or "ani hamechapech b'charara(taking an opportunity away)", once a sin was confessed once and the friends had forgiven him, it need not be gain confessed in subsequent years. Shaar Tsion adds that perhaps it need not be confessed on Yom Kippur either, since the friend had already forgiven the sin. Comes out that there are two types of interpersonal offenses: those that are both against Man and G-d, and those that are against Man alone. If so, we have here our distinction, although I don't currently know the parameters of how to define which sins are which. It would then stand to reason that purely interpersonal offenses do not require that forgiveness be sought, only that the offended person forgives, even solely in one's heart. The sins that are both against Man and G-d require the asking of mechila. This has many ramifications in halacha and hashkofa. The only problem that I have with it is that it argues against the concept that the reconciliation with the Divine is modeled after human relationships, which is what I used to think and of which I wrote here.